The East Hampton Point Restaurant is a special treat for summer diners. It&apos;s a favorite among Long Islanders and boaters from April 1 until Labor Day. This seaside escape has a fun yet sophisticated ambience, with a mirrored dining room just steps from the East Hampton Point Marina. 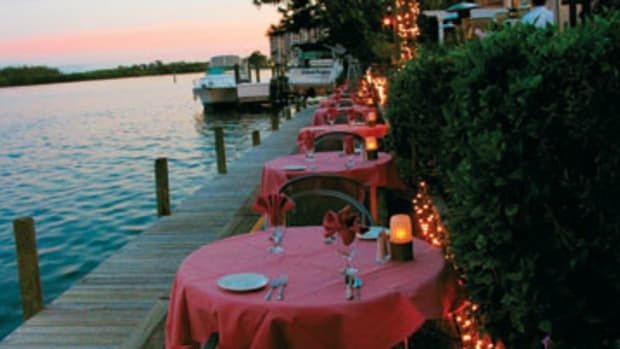 The restaurant is famous for its wide variety of classic wines and American-style food, such as the seared yellowfin tuna, which can be enjoyed either on the outdoor deck or inside. The view of Three Mile Harbor is a favorite of visitors and the Hamptons crowd, making this fashionable restaurant an undeniable hotspot.